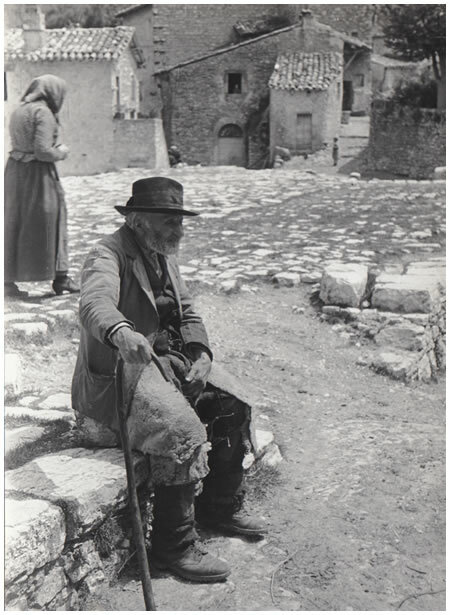 She travelled around Italy long before mass tourism, arriving at remote villages with her Leica. She captured simple, poor people in her viewfinder and released the shutter several thousand times. Today, the photos of Dr Hilde Lotz-Bauer express the Zeitgeist of the 1930s, and the wind of those distant days in the deep south blows through the building at the Mannheim Reiss Museum, where a selection of her black and white photographs can be seen. This celluloid treasure came to light by pure chance. The 86-year old photographer handed over a chest containing old negatives to the Heidelberg photographer Franz Schlechter, telling him to see if there was anything that could be done with them. He looked and was amazed; he made a selection and developed the negatives into the exhibition that is now having its premiere in the Reiss Museum. Dr Hilde Lotz-Bauer did her doctorate in art history followed by additional studies at the Bavarian State Institute for Photography. With these photographs, she captured an idyll of the poor. No idealised, romanticisation, but a loving look at the land and its people characterises her style. 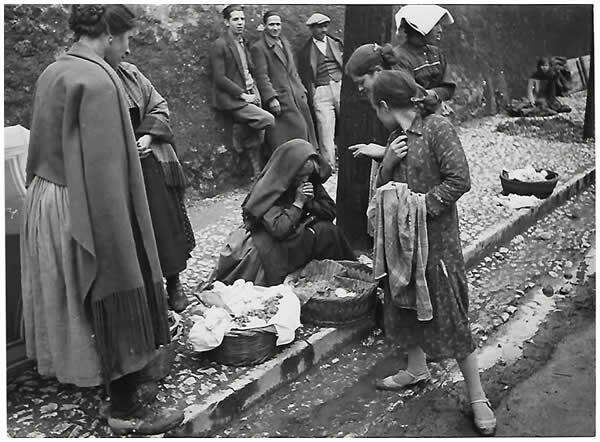 She shows young mothers, who carry their babies in wooden boxes to work in the fields; gaunt, exhausted women, buying a few chestnuts from a stand in some mountain hamlet – the scarcity, the harshness of a life between bearing children, back-breaking work and church-going – leaps out at the viewer from many of the photos. They are documents of a bitter time, when the big landlords of the latifundi mercilessly grabbed half each meagre crop from the small farmers, and when a few lire for work done on the side did not suffice even for a pair of shoes. Machismo as it really existed also appears in these photos, quite accidentally, in black and white contours: the very image of Italian magnificence. The "dolce far niente" is there, as a purely male thing: along a wall, or in a bar, they stand their hands in the trouser pockets of a proudly-worn suit. Thus they loll about casually in Lotz-Bauer's picture world, with a nonchalant charm, despite their shabby outfits.